When designing a vehicle, manufacturers need to ensure drivers can receive essential information without unnecessarily distracting them from the road ahead. At SID Display Week, Lyteus demonstrated how flexible OLED technology makes this possible through a revolutionary automotive heads-up display (HUD). 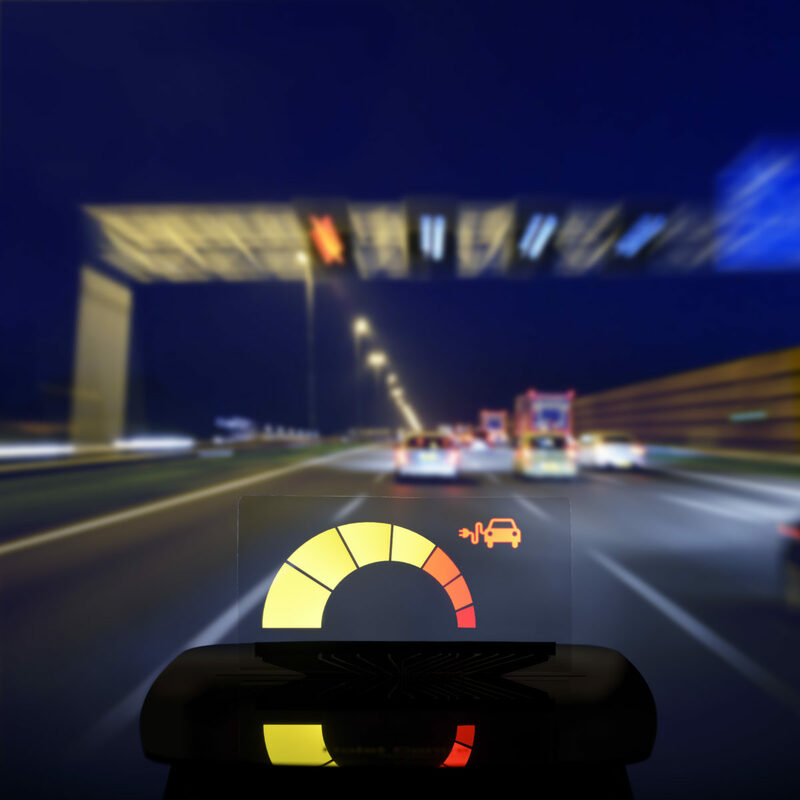 Built on a thin plastic substrate, this transparent display can be integrated into the vehicle’s windshield to add driver-friendly functionality without adding weight. It can be fully customized during manufacture with segments of any shape and color. The demonstrator features a transparent, multi-color segmented display based on OLEDs. By producing the OLEDs on a thin plastic substrate, Lyteus has produced what it believes is the first transparent and highly bendable automotive HUD to reach pilot production. The OLED-on-plastic approach also enables a display that is extremely light and thin and provides complete design freedom. “The automotive HUD demonstrator shows how flexible OLED technology can change our lives, in this case potentially making driving safer and more user friendly. The Lyteus line exists to help innovative ideas like this get to market faster in areas such as automotive, aerospace and health. We offer large-scale pilot production of bendable OLEDs in any shape and color, transparent or reflective, and with a uniformity that surpasses any other light source,” said Erno Langendijk, program manager at Holst Centre, one of the Lyteus coordinating partners.